…but nobody should be too excited about the prospects for its passage. The guess here is nothing will happen to fix the mess ITEP has become until after this fall’s elections…if then. 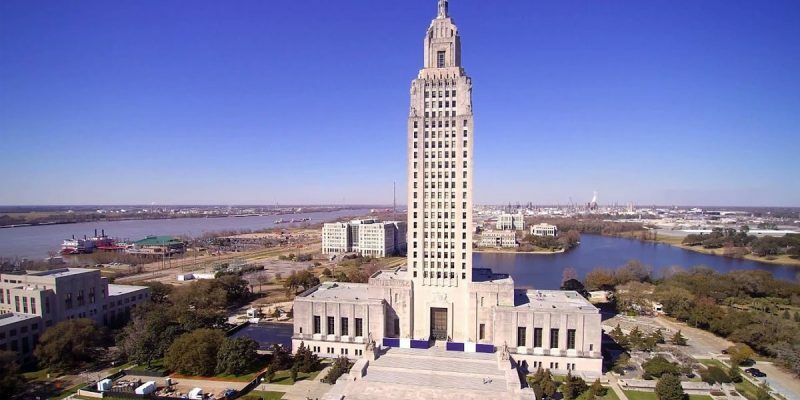 Baton Rouge, LA – Today, Senator Bodi White and Representative Franklin Foil announced their intention to co-file legislation in the upcoming legislative session to return authority over the Louisiana Industrial Ad Valorem Tax Exemption (ITEP) back to the state. This legislation would create a consistent process for businesses applying for these tax incentives. Senator White said he and Representative Foil were working through the details of the bill and anticipate a final version to be complete in the coming weeks. This is all very well, and White and Foil are absolutely to be commended for bringing the bill. No matter what result their efforts bring this year this should be done. Let’s remember that the process by which ITEP applications are reviewed and granted (or not granted) was changed by Gov. John Bel Edwards after he took office in 2016. Prior to the change, which Edwards unilaterally instituted by way of an executive order, a company looking for a tax abatement under ITEP would apply for one through Louisiana Economic Development, and when LED gave a favorable result the application was reviewed by the Board of Commerce and Industry, the body providing oversight. And if BCI was on board, that was it – the application was granted. And this worked well for local governments, who are the primary taxers of property in Louisiana. Why? Because tax abatements on property granted through ITEP only apply to capital investments made on the increase in value of property to be taxed, and they then only apply for a set period of time – it was 10 years and is now eight years. So if, for example, ExxonMobil makes an investment which would increase the value of its Baton Rouge oil refinery by $20 million, the tax break via ITEP would exempt that $20 million increase in property value from the company’s prperty taxes for eight years – after which time it would be paying the full amount of property tax. LED as the lead agency processing these applications makes sense, because LED is in charge of economic development efforts statewide. And prior to Edwards’ executive order, LED had leveraged ITEP to help generate a capital investment boom of some $150 billion in Louisiana, which more or less kept the state’s economy from total collapse when the oil and gas recession hit around 2014-15. Edwards’ executive order put local governments in a position to veto ITEP applications. So a school board can veto exemptions on the portion of property taxes that would go to its school district, and a sheriff can do the same thing, as can a police jury or parish council. If nothing else the process has become very unwieldy. That’s a nice way to say it’s become a series of ever-more-idiotic food fights, in which entry-level politicians are buffeted by leftist agitators from Together Louisiana offering up stupid arguments about how Corporate America is stealing money from school kids every time someone tries to take advantage of economic development incentives. John Bel Edwards did this, and his handiwork was best seen in the abject mess made of a pair of ITEP applications sought by ExxonMobil in Baton Rouge. Edwards has had absolutely nothing to say in the panic which has come following ExxonMobil’s rather pointed statement withdrawing those applications last week, and it’s pretty clear at this point that since any discussions of his handling of the ITEP program aren’t conducive to his re-election campaign those are off limits where the governor is concerned. Accordingly, here’s what’s going to happen – while Foil will likely pass the bill in the House, White’s version of the bill probably gets parked in the Senate & Governmental Affairs Committee by Edwards’ pal Senate President John Alario, and in that committee it’s killed by Karen Carter Peterson, the chair, and her fellow Democrats Wesley Bishop, J.P. Morrell, Troy Carter and Gregory Tarver, who make up the committee’s majority. That way, Edwards can say he had nothing to do with the bill’s demise. Of course, Edwards could rescind his executive order altogether and make the entire question moot. But to do that would be an admission the executive order was a mistake in the first place – and he doesn’t admit mistakes, ever. Meaning that what’s important here is the debate on the bill, and the understanding by every voter from Dulac to Shongaloo that the disaster ITEP has become – since Edwards’ executive order, remember, capital projects in Louisiana are down a whopping 72 percent – falls solely on John Bel Edwards’ head. It’s his fault, and when he refuses to admit his mistakes and has his minions kill White and Foil’s bill the state’s economic performance is solely and completely John Bel Edwards’ responsibility. For that reason, and for that reason alone, we applaud White and Foil for bringing a bill returning ITEP to state control. And hopefully Edwards will get his richly deserved electoral rebuke in November, and a new governor less hostile to economic growth will fix what Edwards broke with that executive order. Previous Article BAYHAM: Commissioner Goodell, Deal Or No Deal?